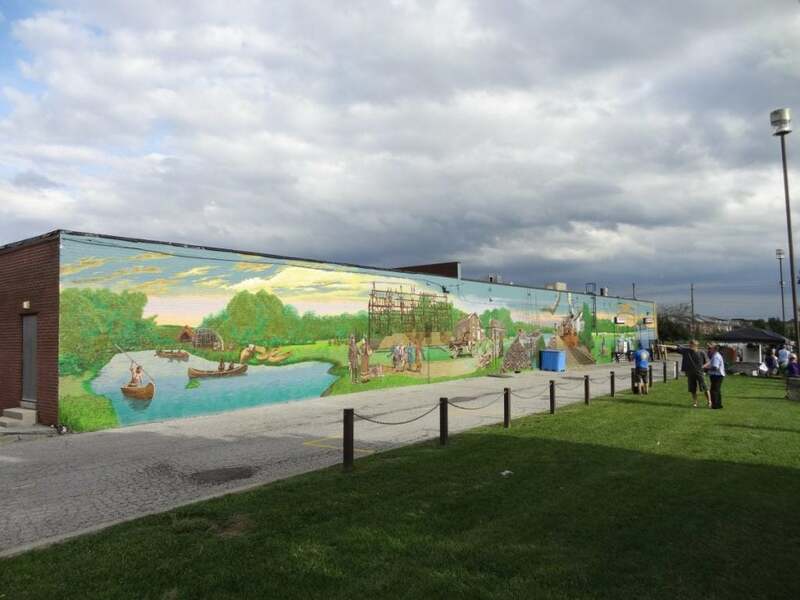 This mural was created in 2016 in partnership with the Centennial Community and Recreation Association (CCRA) and Street Art Toronto. Lead Artist Allan Bender of Blinc Studios worked with the CCRA and local experts to develop a historical timeline of the Port Union community, from Aboriginal history to the present day. Support for this project was provided by BMO Bank of Montreal, The Heather Lemieux Group, Thorncliffe Neighbourhood Office, Canada Summer Jobs, Employment Ontario, Tatham, Pearson, and Malcolm LLP, The Three Sister’s House, Scarborough Historical Society, Audrey’s Flowers, and the Port Union Recreation Centre.